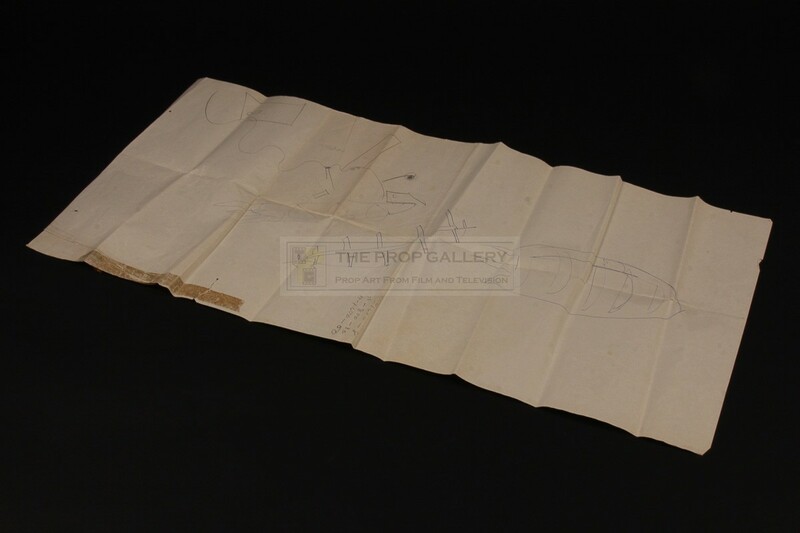 An original blueprint used in the production of Fantastic Voyage, the 1966 science fiction picture starring Stephen Boyd and Raquel Welch. 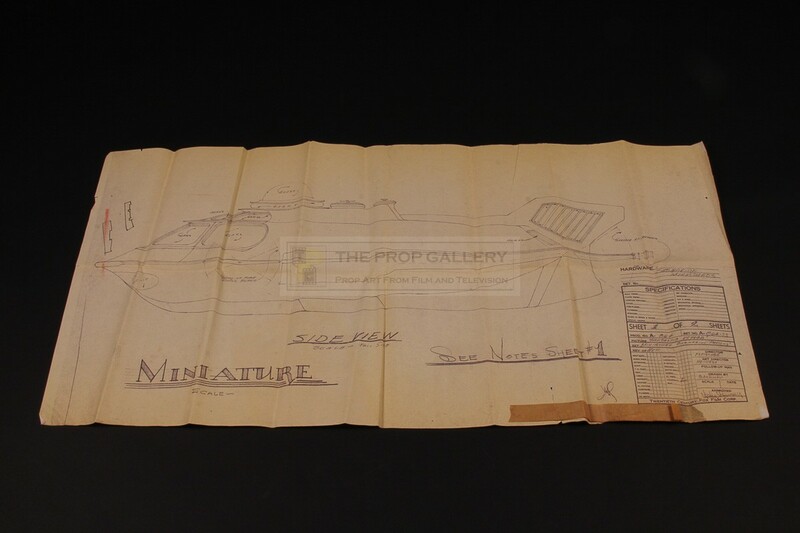 This blueprint was utilised by Robert H. Stuard of the 20th Century Fox props department during the construction of the original Proteus submarine filming miniatures, Stuard was often known professionally as Bob Stewart and was also largely responsible for the construction of the Robot props from the classic American television series Lost in Space. 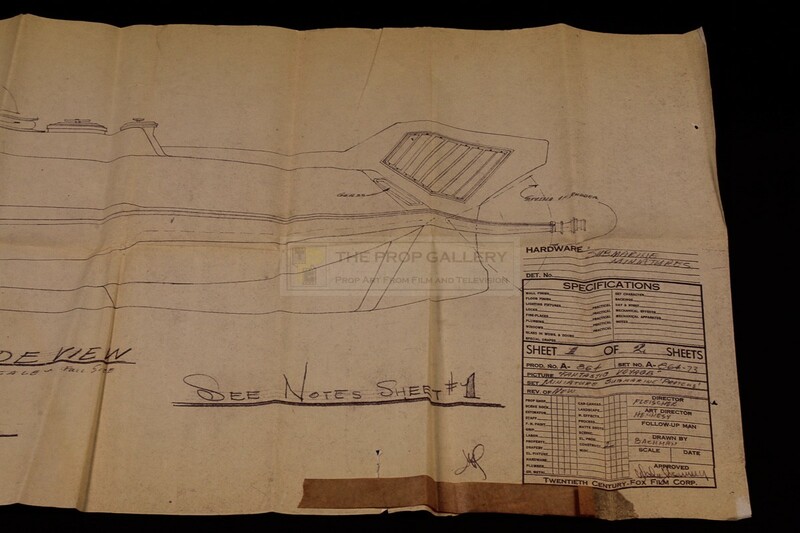 This is a blueprint taken from the original rendering which was approved by art director Dale Hennesy who received an Academy Award for his work on the picture. 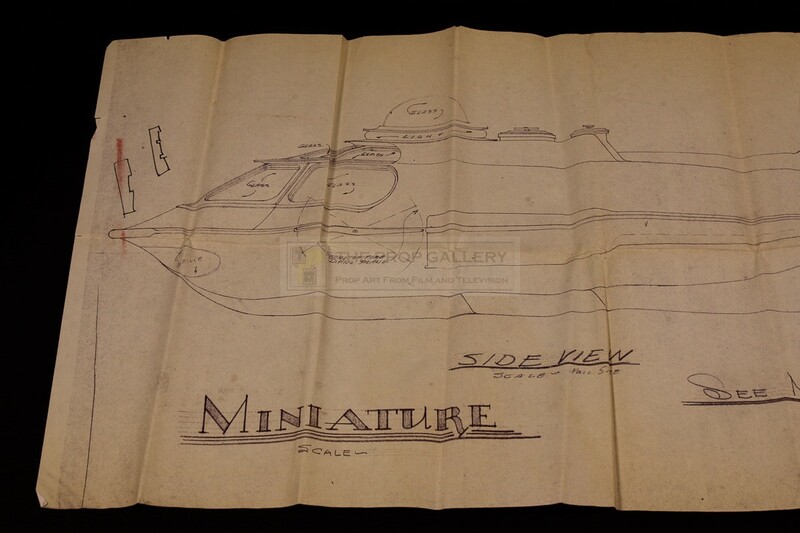 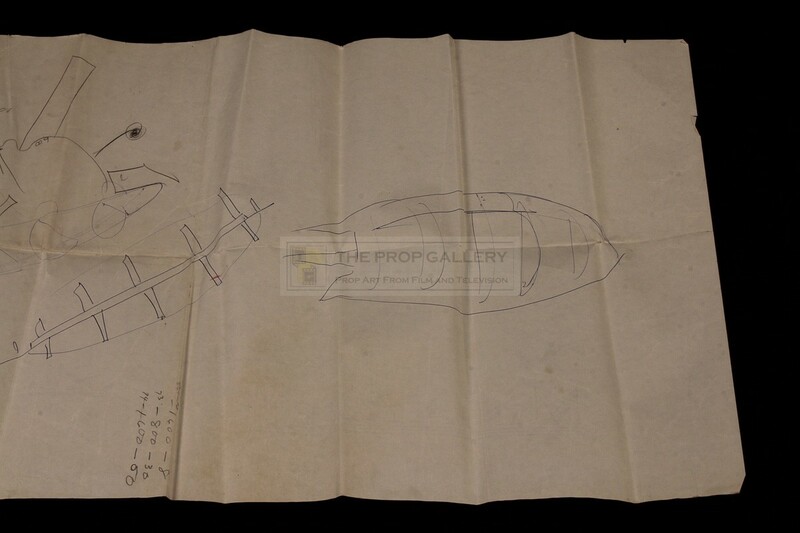 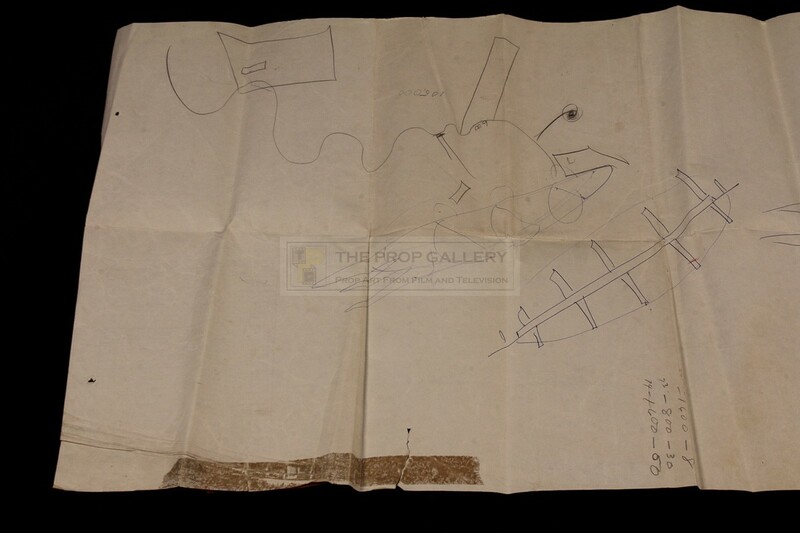 The blueprint features a technical drawing of the submarine with various notes relating to the construction of the miniatures, to the verso are numerous notes and drawings which are inscribed in pen and pencil, likely in Stuard's hand who used this very document during the construction of the props. 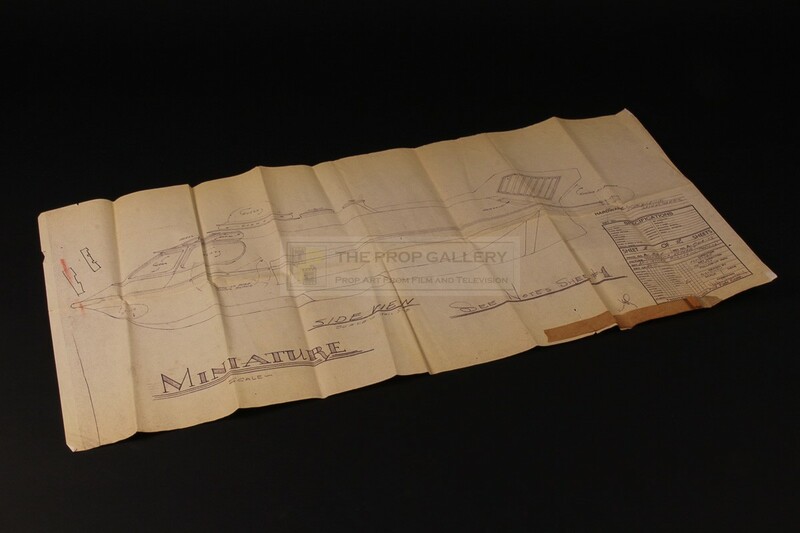 The blueprint measures approximately 36" x 18" and remains in good vintage and folded condition with some edge wear and toning as you would expect of a fifty year old document. An incredibly rare and displayable artefact from this highly regarded science fiction picture which was the recipient of the 1966 Academy Award for Best Special Effects.